ASSAR’s overall concern was to generate knowledge that can support adaptation for the poorer and often politically-marginalised people facing livelihood and wellbeing stresses in semi-arid regions. To this end, ASSAR’s primary research question and research framework placed high emphasis on understanding the barriers and enablers to adaptation in this context. We were by no means the first project to try to understand how different factors constrain or promote the chances of achieving success in adaptation initiatives and actions. However, one thing we did do distinctively is explicitly frame our view of barriers and enablers in a normative sense – that is, in relation to explicit goals of how adaptation should proceed. We were not just interested in what makes any form of adaptation work; we were interested in what encourages or prevents effective, widespread and sustained adaptation that aligns with the aspirations of local communities. First, many discussions of barriers and enablers in adaptation focus on matters relating to finance, technology, skills, institutional capacity, and governance. But from our people-centred work in ASSAR we emphasise a strong, and in some case central role, that cultural factors may play in shaping development, uptake, and effectiveness of adaptation actions. By culture we refer to shared traits such as worldviews, values, norms, taboos, behaviours, and tastes that are often institutionalised within cultural structures related, for example, to social status, caste and gender. The importance of recognising cultural dynamics in this context is key, especially in semi-arid regions where deep-rooted traditions tend now to be confronted by rapid environmental and social change. Second, we draw attention not just to the existence of multiple forms of barriers and enablers, but to their interaction in shaping adaptation outcomes. Just as different forms of enablers could combine to increase the chances of progress, so multiple interacting barriers can be mutually reinforcing to severely constrain progress. Equally, different factors can, in effect, counteract one another, with some acting to strengthen while others act to undermine the uptake and success of adaptation actions. Furthermore, barriers can be dynamic and change over time, with barriers in one adaptation context morphing into enablers at certain times or in certain situations. These interactions can often be highly complex and context-specific; but attempts to understand how a web of interacting factors is likely to play out in terms of shaping the conditions for successful development, uptake and effectiveness of adaptation actions is a key consideration for all those promoting effective adaptation. Ahmed, A., Lawson, E. T., Mensah, A., Gordon, C. and Padgham, J. 2016. Adaptation to climate change or non-climatic stressors in semi-arid regions? 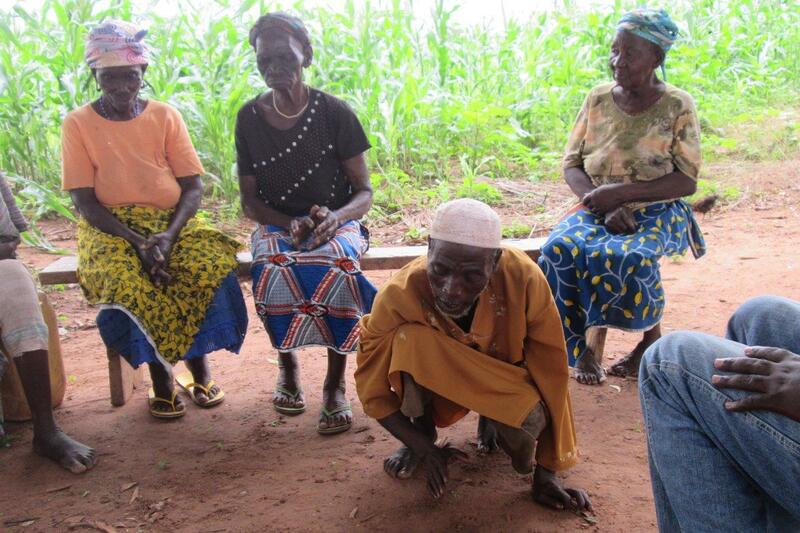 Evidence of gender differentiation in three agrarian districts of Ghana. Environmental Development, 20: 45-58. DOI: 10.1016/j.envdev.2016.08.002. Link to summary. Davies, J. 2017. Barriers and enablers to climate change adaptation in north-central Namibia. Adaptation at Scale in Semi-arid Regions (ASSAR). Link to English version. Degefu, M. A., Assen, M. and, Few, R. and Tebboth, M. G. L. In prep. Perceptions of local people on impacts and management of Prosopis juliflora for adaptation in the face of climate change in the Middle Awash Valley, Ethiopia. Deshpande, T., Michael, K. and Bhaskara, K. 2018. Barriers and enablers of local adaptive measures: A case study of Bengaluru’s informal settlement dwellers. Local Environment. DOI: 10.1080/13549839.2018.1555578. Link to summary. Link to information brief. Few, R. 2017. Drought does not work alone. Adaptation at Scale in Semi-arid Regions (ASSAR). Link. Gitonga, Z. and Visser, M. In prep. Evaluating access, use and impact of climate information on welfare and use of adaptive strategies by rural families in arid regions of northern Namibia. use/land cover and climate variables. [Poster]. Adaptation at Scale in Semi-Arid Regions (ASSAR). Link. Mugari, E., Masundire, H., Bolaane, M. and New, M. 2018. Perceptions of ecosystem services provision performance in the face of climate change among communities in Bobirwa sub-district, Botswana. International Journal of Climate Change Strategies and Management. DOI: 10.1108/IJCCSM-09-2017-0178. Link to summary.Link to presentation. Shaibu, M. T. 2016. Climate change adaptation strategies of small livestock farmers of Nandom and Lawra. Master's thesis. University of Ghana. Link. Link to poster. Shaibu, M. T., Alhassan, S. I., Avornyo, F. K., Lawson, E. T., Mensah, A. and Gordon, C. 2019. Perceptions and determinants of the adoption of indigenous strategies for adaptation to climate change: Evidence from smallholder livestock farmers in north-west Ghana. In: J. K. Kuwornu (ed.) Climate Change and Sub-Saharan Africa: The vulnerability and adaptation of food supply chain factors. Vernon Press, pp. 229-249. Link to book. Link to chapter. Shaibu, M. T., Alhassan, S. I., Avornyo, F. K., Lawson, E. T., Mensah, A. and Gordon, C. In press. Perceptions and determinants of the adoption of indigenous strategies for adaptation to climate change: Evidence from smallholder livestock farmers in north-west Ghana. In: J. K. Kuwornu (ed.) Climate Change and Sub-Saharan Africa: The vulnerability and adaptation of food supply chain factors. Vernon Press, pp. 229-249. Sinha, B. and Ramkumar, B. In prep. Identifying differential vulnerabilities of rural communities in semi-arid region of Maharashtra through a wellbeing approach. Link to poster. Shaibu, M. T. Tiyumtaba, S. M. 2016. 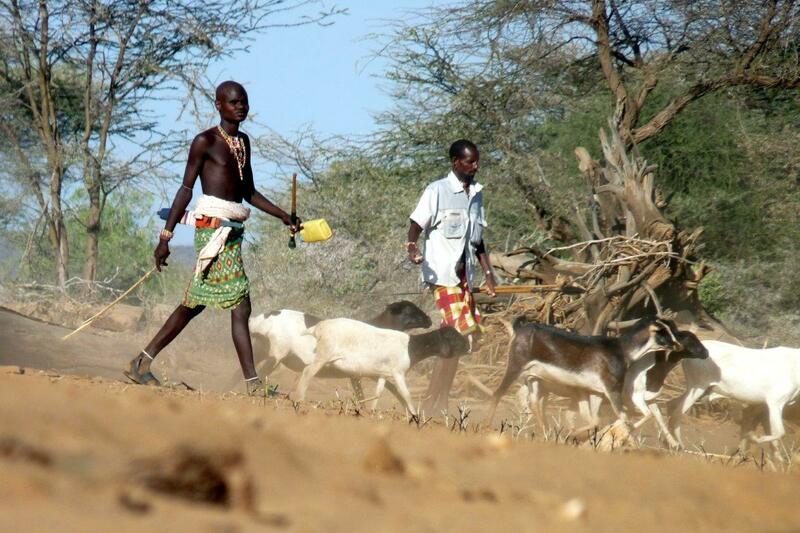 Climate change adaptation strategies of small livestock farmers of Nandom and Lawra. Master's thesis. University of Ghana. Link. Link to poster.Link.